Freedom comes pretty easy for Canadians, but in other parts of the world, that is not the case. 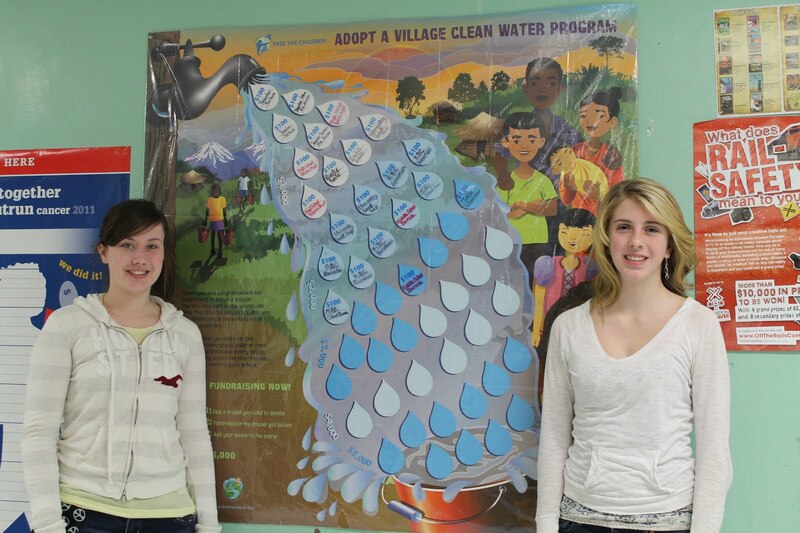 Grade 8 Blackville students Ashlyn Moody and Laura Jardine are truly stepping up to the plate. They are helping children in India attain clean water, food, and an education. It is part of Free the Children’s Adopt a Village Clean Water Project. Free The Children is the world's largest network of children helping children through education, with more than one million youth involved in innovative education and development programs in 24 countries. Moody and Jardine are the leaders of the Free the Children school group. The other members include Brooke Underhill, Calvin Furlong, Deanna Donovan, Ashley Kelly, Amelia Underhill, Abby Donovan, Jules and Samuel Keenan, Noah Donovan, Veronica Pond, and Pauline Sturgeon. It all started with a presentation by Free the Children last fall. The students’ immediate reaction to the presentation was that they would like to help. So the girls set a goal for $5000; they already have $2900. When asked how they felt about what they were doing, the girls said it made them feel good that they were helping less fortunate people led a better life. The students are busy planning further fundraisers, including a bake sale and a walkathon. Photo: Left to right: Laura Jardine and Ashlyn Moody in front of water project goal poster.